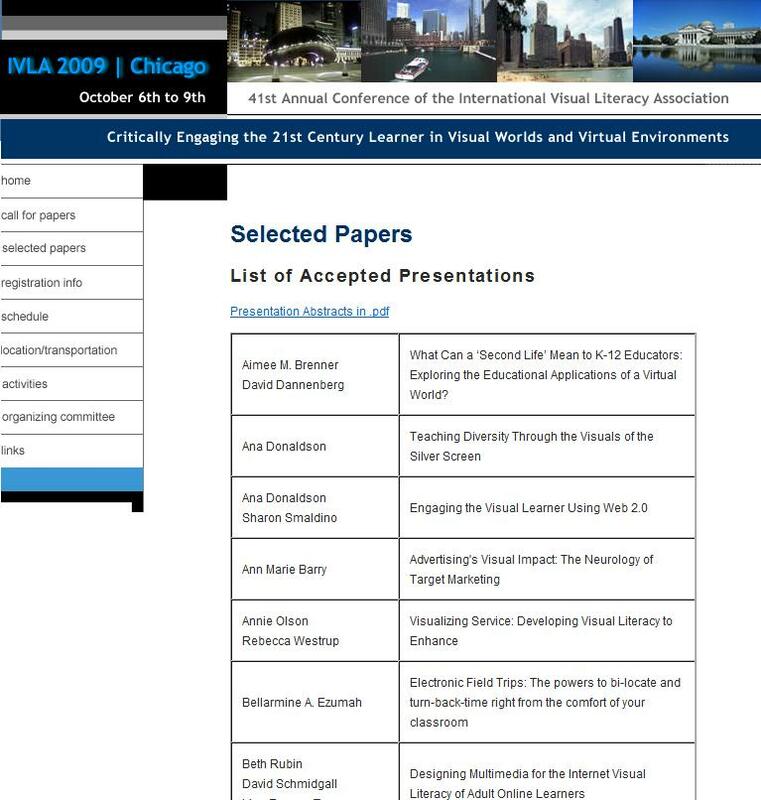 If you are interested in visual imagery, visual literacy, virtual environment, and education, than, the IVLA conference this year is the conference that you cannot miss! IVLA stands for International Visual Literacy Association. IVLA held their annually conference at different locations around world. October 6th to 9th this year, the IVLA conference will be held in Chicago.